As a proud Scottish company we’re delighted with The Scottish Gift Set, the ideal gift for a dedicated cheese (and whisky!) lover. 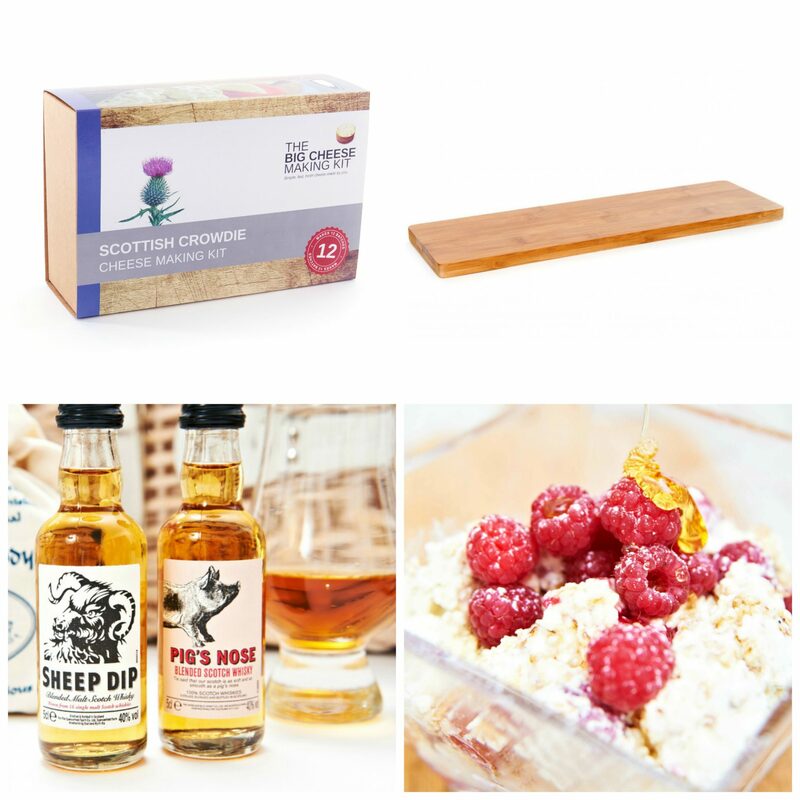 Get our Scottish Crowdie Kit, Sheep Dip and Pig’s Nose Whisky Miniatures, and a lovely cheeseboard! Scotland’s most ancient cheese, Scottish Crowdie dates back as far as Viking and Pictish times when it was made by every crofter in the Highlands of Scotland. The more traditional method for making Crowdie in those days would be to slowly warm a bucket of milk (straight from the cow) by the fire until it soured and curdled. Thistle was historically used as a form of rennet! We think you might enjoy our method more. The cheese was often eaten on oatcakes before a Ceilidh as it was said to alleviate the effects of whisky drinking! The kit contains enough ingredients to make 12 batches. Each batch is around 900g…900g is a lot of cheese! There’s recipes for a smooth and creamy version, and a firm and crumbly version. Scottish Crowdie is used in both sweet and savoury dishes, it’s a hugely versatile cheese! Sheep Dip is a multiple award winning combination of 16 different Highland, Island and Speyside single malts aged between 8 and 21 years, married together in specially selected first fill oak casks. Pig’s Nose has a satisfying smoothness that is achieved through combining oak-aged Speyside, Islay and Lowland malts with superior Invergordan gentle grain whiskies. A handy base for a gift package or for serving food. At 40cm this board has a wide variety of uses and the dimensions to make a bit of a statement. It is made from environmentally sustainable bamboo which is light, strong and durable. Due to the fragile nature of certain components in our Gift Sets, free shipping is not available. We’ll ship via UPS at a cost of £4, to be delivered in 1-2 working days. Allergens:Packaged in an environment where trace elements of nut may be found. Our kits are designed with the environment in mind and packaging/components are recyclable or compostable. 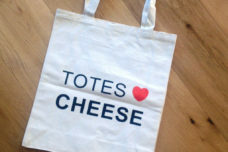 All our Big Cheese Making Kits are 100% vegetarian and gluten free with a shelf life over 12 months. @PennyJBarr Wow!! Looks amazing! So glad you enjoyed making the cheese and that you were able to use the whey...fantastic! !